The prestigious city of Miramar is located in South Florida’s Broward County. Miramar is close to nearby towns and cities such as Fort Lauderdale, Davie, Hollywood, Miami and Pembroke Pines. Miramar real estate offers a wealth of property choices in addition to easy access to the region’s beautiful beaches, parks and top-notch cultural attractions. Miramar real estate is a unique blend of apartments, condos, townhouses and duplexes. Single-family homes in quiet neighborhoods are available for great prices, as are luxury homes in the city’s most affluent subdivisions and gated communities. Whatever type of home you’re looking for, you’re sure to find it in Miramar. The city of Miramar boasts a number of prestigious subdivisions and neighborhoods. One of the top subdivisions is Nautica and Riviera Isles, a small, tight-knit community that offers beautiful homes and quiet, peaceful streets. Sunset Lakes is another high-end area of the city, known for its wide variety of stately homes and convenient access to the region’s finest golf courses, beaches and other attractions. Miramar real estate offers comfortable single-family homes in a beautiful, quintessentially South Florida setting. The city is proudly served by the Broward County Public Schools District. Top schools within the district include Coconut Palm Elementary School, Sea Castle Elementary School, New Renaissance Middle School and Everglades High School. Renowned private schools in Miramar include Florida Bible Christian School and Saint Bartholomew Catholic School. Miramar boasts a strong and highly diversified economy grounded in tourism, hospitality, technology, telecommunications and healthcare. Key employers and companies in the city include Comcast, Humana, Carnival and Quest Diagnostics. 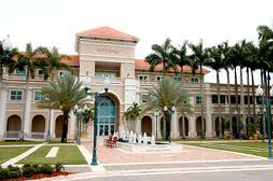 In addition to its close proximity to world-class beaches and golf courses, attractions nearby Miramar include the Everglades, several professional sports teams and the cultural and entertainment offerings of Fort Lauderdale such as The Hard Rock Casino and Hotel, Bank Atlantic Center and the Miami Art Museum.